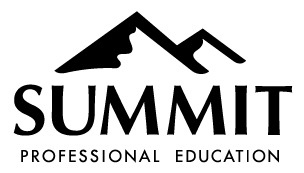 Visiting our website at summit-education.com and selecting the "Sign In" link at the top of the page. Clicking the login link in your confirmation email. Clicking the following link: http://summit-education.com/login. When I have a subscription, how do I sign up for courses? Can I turn off my auto-renewal feature before I receive my auto-renewal email notice? I have a subscription. Why is a credit card being asked to register for a course? I have already purchased/attended a live course; can my registration fee count towards a subscription?